Finally, we have an update on what’s going on with the Red Dead Online Beta. Coming February 26th, we have new features, improvements and enhancements coming to Red Dead Online. This includes changes to the player’s blips on Mini Maps, weapons are getting balanced and much more. Check out whats coming on February 26th below. The way Criminals are reacted to is changing, depending on the crime will affect your bounty value and honour Consequences. Killing another player will give you a high bounty, whereas assaulting an NPC or an animal will give you a smaller bounty. Looting dead folk will also just decrease your honour. If you have racked up a high bounty, NPC bounty hunters will attempt to hunt you and kill you for a reward. The higher the bounty the more difficult the pursuit becomes for you. After your bounty getting so high you will be wanted dead. Daily challenges are getting added to Red Dead Online. Complete Daily challenges to unlock Gold Nuggets and XP. They range from killing animals, clearing hideouts, selling items and much more. Rockstar will keep changing up daily challenges and expand them increasing challenges, rewards and bonuses. Your feedback has been invaluable so please keep it coming. 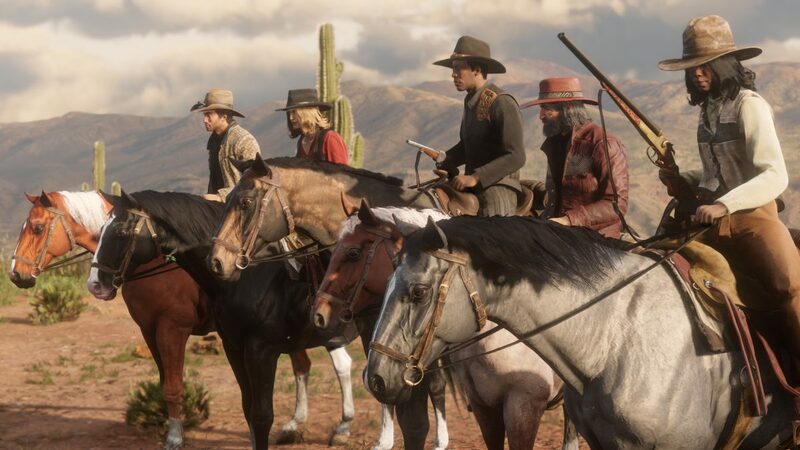 In addition to these updates we are planning to address several additional changes based on community feedback received thus far – select weapons will be re-balanced including the Varmint Rifle, which will have its accuracy brought more in line with other longarm weapons; voice chat will be reduced to work at closer proximity, and while fixes to horse cargo are numerous and ongoing we plan to introduce some improvements to making pelts and carcasses more persistent after death or respawning.